They are in Ghana for Selly’s 27th birthday celebration which is dubbed “Selly’s Birthday Bash and Hosting of Big Brother Housemates”. The hyped birthday party, which is expected to attract a large number of celebrities from the showbiz industry, is scheduled to take place tonight September 27 at the Exel Night Club near the Nyaho Clinic. 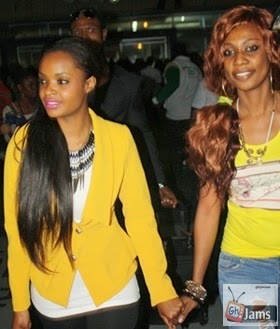 Dillish and the housemates were met at the Kotoka International Airport on Wednesday evening by Selly, Elikem, Pokello and friends. Also joining Melvin from Nigeria is Big Brother All Star winner, Uti Nwachuku, who will emcee the birthday party. They took turns to answer questions from a section of the media, opening up on some of the other activities they would be engaging in after today’s birthday bash.